I know the saying goes "don't judge a book by its cover," but I just never listen to that rule—especially when a book is as striking as THE PARTY by Robyn Harding. This eye-catching summer suspense novel had all the ingredients that should have made it a hit for me: comparisons to Herman Koch's THE DINNER and Christos Tsiolkas' THE SLAP, a story of family secrets, and, yes, a gorgeous cover. Unfortunately, this book didn't serve up the suspense or psychological insight I would expect based on its comparison titles. While I certainly read this book quickly, I never felt fully invested in it, and would be hesitant to recommend it. More than anything else, this book was just too average; it's neither particularly inventive nor particularly memorable, but it's not a memorably terrible book, either. This isn't a book that offends—it just falls flat. "One invitation. A lifetime of regrets. Harkening to Herman Koch’s The Dinner, Christos Tsiolkas’s The Slap, and Liane Moriarty’s Big Little Lies, The Party takes us behind the façade of the picture-perfect family, exposing the lies, betrayals, and moral lapses that neighbors don’t see—and the secrets that children and parents keep from themselves and each other." It will come as no surprise to you that I'm a huge fan of Herman Koch, and I'll read pretty much any book that is compared to his work—whether the comparison is deserved or not is something I always want to find out for myself. (That was actually how I discovered Tsiolkas' THE SLAP a few years ago - another brilliant and insightful read.) When I saw the comparison between THE PARTY and Koch's THE DINNER, I knew I had to read this title, too. Based on this comparison, I hoped for a book that would be acerbic and clever, cutting down social constructs while peeling back the carefully-established facade that a family has built to hide its ugly secrets. Or, if that's too much to ask, I hoped it would simply be an entertaining read. At surface level, Harding's THE PARTY does provide this kind of reading experience—this story delves into the inner workings of a picture-perfect family, and, through a cast of wholly distasteful characters, provides some snarky commentary on the habits and practices of the newly-wealthy that I loved. (Think: characters whose devotion to Pilates, healthy snacks, and perfectly-decorated homes are so earnest and over-the-top, the reader can only shake their head and laugh.) Dig a little deeper, though, and THE PARTY doesn't have the same psychological gravity of the titles it's being compared to. Granted, I'm not sure this story is meant to be quite as loaded a read as is THE DINNER—but I can only react to the comparisons I was given. My personal opinions on this story's intentions aside, this book won't deliver the tension and darkness necessary to please most crime readers. THE PARTY focuses on the fallout of a tragic accident: rather than keeping the reader in suspense while uncovering the details of the accident, the facts are revealed fairly early on in the book, and readers are along for the ride as the key players of the story deal with the accident's aftermath. On its own, this is a fantastic concept. I love the idea of allowing a reader to witness not just the story's central tragedy or crime, but watch its reverberations move throughout the community. If done well, I've found that this structure can be even more engaging than a whodunnit. In actuality (unfortunately), THE PARTY doesn't deliver the interpersonal tension necessary to make this reading experience truly engaging. Instead, I found myself detached from the narrative, largely unconcerned with the lives of the teenagers who make up the majority of this book's cast. And if you're not invested in these characters' lives, there's not much else to focus on in THE PARTY. But there are positives to this book, too—if there weren't, I wouldn't have finished reading it. THE PARTY does offer a quick, sometimes quite witty, summer read. If you love reading lighter suspense, enjoy unlikable characters (I do! ), and are intrigued by the inner workings of teenage cliques, THE PARTY will suit you well. 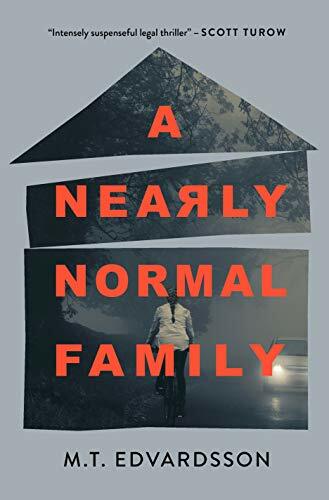 There are some really great moments of dark humor in this book, as a picture-perfect family learns to re-prioritize their lives in the wake of a tragic accident that took place in their home. Moments of gentle insight and quick pacing compelled me to finish this book, but as a whole, it didn’t deliver the kind of read I had hoped for. I would be hesitant to recommend THE PARTY to crime fiction readers. I needed this book to give me just a little bit more than it did. More tension, more character development, more psychological insight. Harding provides a compelling plot for a suspense novel, but never pushes the book to the level of its purported peers. There are so many other true thrillers releasing this summer that serve up psychological insight, plot twists, and engaging, vivid characters—your money might be better spent elsewhere. Try books like THE LYING GAME by Ruth Ware, THE CHILD by Fiona Barton, and THE WEIGHT OF LIES by Emily Carpenter instead. I received a free copy of this book from the publisher in exchange for my honest review. All opinions my own.